A week ago, I was lent a CamRanger. This is a cool little device that you attach to your camera and it allows you to control the camera through your cell phone or tablet. You can actually adjust most of the functions which is pretty awesome. But even better, you can download and review each image right on your device (I used an iPad). I’ve never written a review before but I’ve always wanted to try. So here it goes. This was my first experience with such a product and I have to say I was very intrigued. The setup was pretty easy too. First you download the app and then register the device. 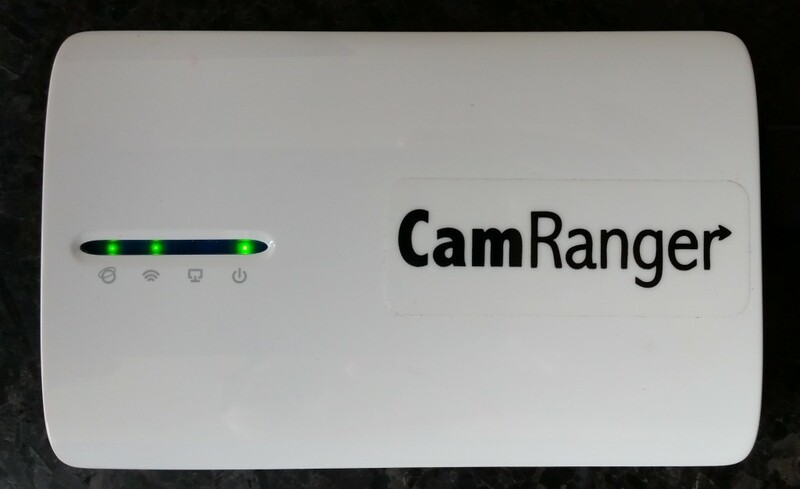 Then connect the CamRanger to your device and turn it on; when you turn it on it creates its own wi-fi network. Next connect to the CamRanger wi-fi network and open the app. That’s basically it. Now you’re ready to start using shooting remotely. At this point, I had to start playing around with it. I changed the shutter speed, the aperture, ISO and sure enough it worked like a pro. I was even able to change modes from (M)anual to (A)perture Priority to (S)hutter Priority to (P)rogram. Other settings include: White Balance, Single to Multi-picture, Metering Mode, Image Quality (Jpeg, Raw, TIFF), Autofocus, Exposure Compensation, Liveview and Movie mode. It will do autobracketing for HDR and can even give you a realtime Histogram. The Liveview is how I used this and it really does some cool stuff when your in Liveview, which I’ll get to later. So what was my initial impression after using it for the first time? I really liked it. I started off with some macro shots of flowers since that’s one of my favorite subjects. At first, I was a bit annoyed because there wasn’t an exposure meter on the app so I had to do a couple of test shots to get my settings down. But since the camera’s on a tripod, the settings don’t really change so it really wasn’t that big a deal. After taking that first shot, the fun really began. I tapped on the image thumbnail and the picture was downloaded to the ipad. It was a bit slower than I would’ve expected and definitely not suitable for rapid fire shooting and review but not so long that you should go get a snack while it works. Once the image is downloaded you can double tap the screen and it will zoom in at 100% to that spot. It was very helpful to see if my shots were actually sharp where I wanted them to be without having to go to my computer. As we all know, the screen on the camera doesn’t always give the truest picture. That’s all for now but I’ll will post another part with more of my thoughts on this very useful bit of gear.